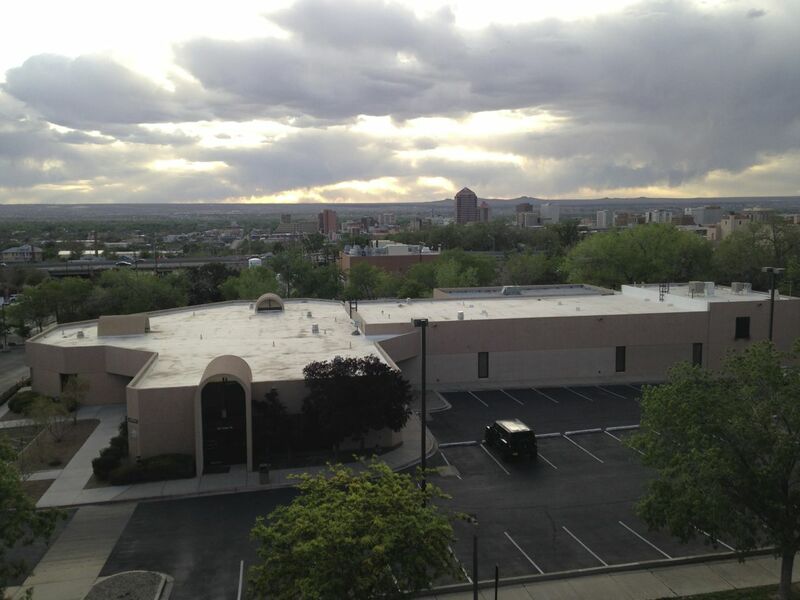 This photo was taken from the rooftop level of the hospital parking garage in downtown Albuquerque. As I was walking to my car, I thought of the scene in Breaking Bad when Gus Fring is striding through the hospital parking garage and gets the feeling something is very wrong. I saw this scene so vividly in my mind it was eerie. And kind of cool. Got me out of my own headspace for a moment in a strangely glorious way.